Three sizes of striking crystal pyramids, with the perpetual overall trophy mounted on a handmade silver plinth and the keepers mounted on ebonised plinths. Comissioned by Thomson Financial. 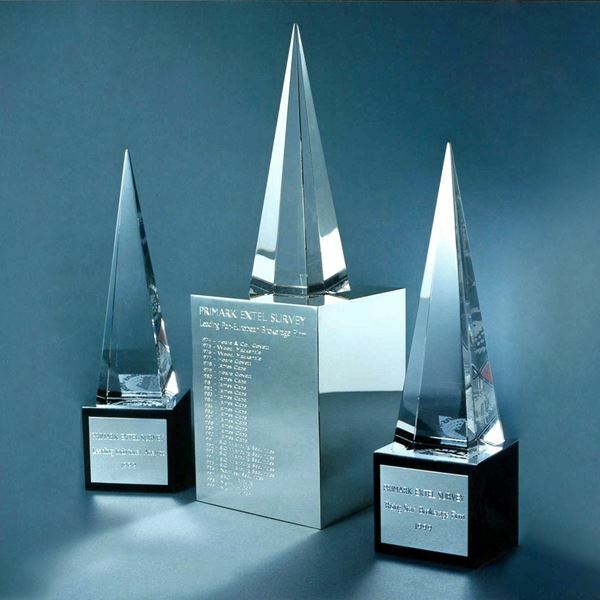 Dubbed the 'city Oscars' Three sizes of striking crystal pyramids, with the perpetual overall trophy mounted on a handmade silver plinth and the keepers mounted on ebonised plinths. Comissioned by Thomson Financial.